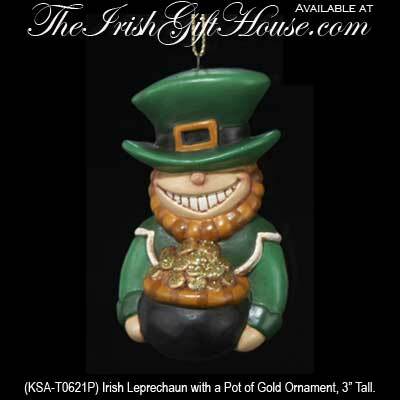 Leprechaun Irish Christmas Tree Ornament with a Pot of Gold. with a Pot of Gold. Porcelain, 3" Tall, Gift Boxed. From KSA.